Preschool-grade 8 enrolling for 2019-2020! Space in some classes going fast! A Google online form will take less than a minute to fill out. Don't miss out on an alumni newsletter we hope to launch soon. 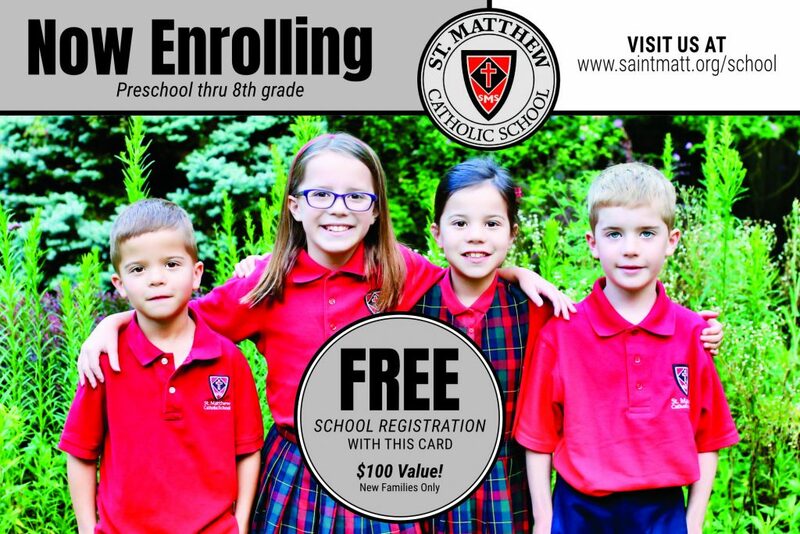 Saint Matthew Catholic School (a ministry of Saint Matthew Catholic Church) is dedicated to providing a faith-filled Catholic education from preschool to 8th grade that fosters the growth of the whole child. Through developmentally appropriate academics, we facilitate social growth in a safe environment and inspire self-discipline, personal responsibility, and a concern for others in the world. 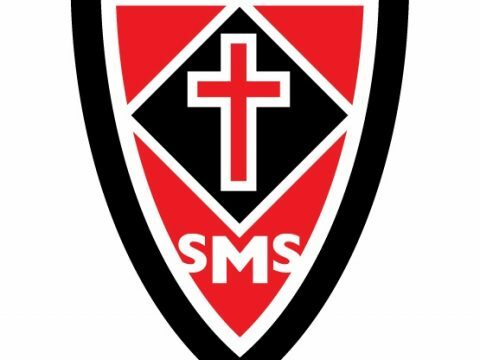 Saint Matthew Catholic School holds as its vision for all students and staff to embody “The Warrior Way.” This widely distributed and highly visible statement encompasses everything from our commitment to being a truly Catholic school devoted to God in the model of Jesus as well as developing the strengths of each person in collaborative ways in an enjoyable environment. We are proud to be a Catholic School accredited by the Archdiocese of Indianapolis and the State of Indiana through the North Central Association of Colleges and Schools. Call (317) 251-3997, extension 3905, for enrollment information and a tour. Need to call in to give or get information? In the event of a school closing or emergency announcement, an automated telephone message will be sent from Mr. Smock to all school families. 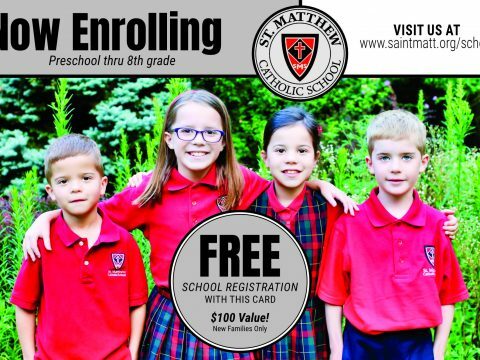 © 2019 Saint Matthew Catholic School. All Rights Reserved.